Learn how to get your employees tracking their time everywhere and create professional timesheets in four easy steps. 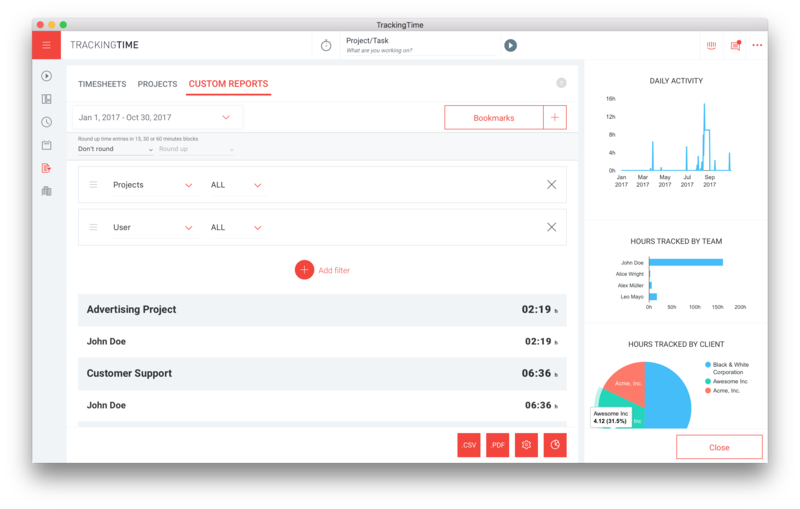 TrackingTime allows you to easily keep track of your team's working hours and run accurate reports for payroll, billing, invoicing, project budgeting, productivity and more. Learn how to get started with these four simple steps. Adding your employees will get you one step closer to tracking that valuable time! It's super easy: go to Company > Team > Invite Coworkers and enter their email addresses. We'll take care from there. Once you add your employees, you can start assigning tasks to them, so that they know what they should track. Tasks can be as general as "Marketing" or "Support" or as specific as "Write project proposal for Steve". 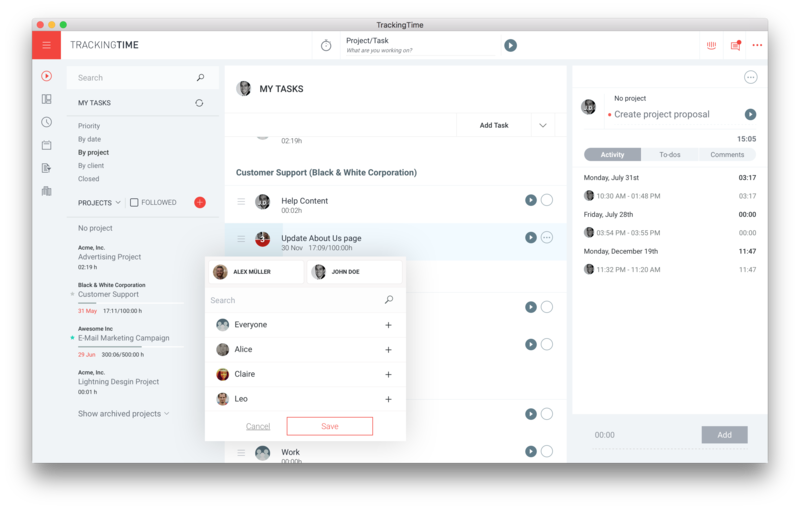 Learn more about sharing tasks with your team. Today, work happens everywhere. 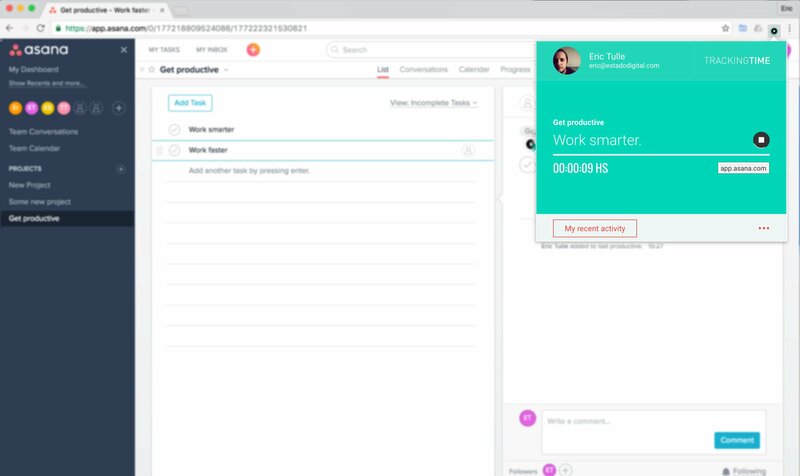 That's why TrackingTime allows you and your team to track time in real-time wherever you work. The best part about time tracking is creating accurate timesheets and reports for payroll, invoicing, project budgeting and more. TrackingTime offers several types of reports that are designed for different purposes and use cases. Timesheets: Create daily, weekly or monthly timesheets for projects, employees and clients. Custom Reports: Combine filters to categorize your time data and create reports tailored to your needs. 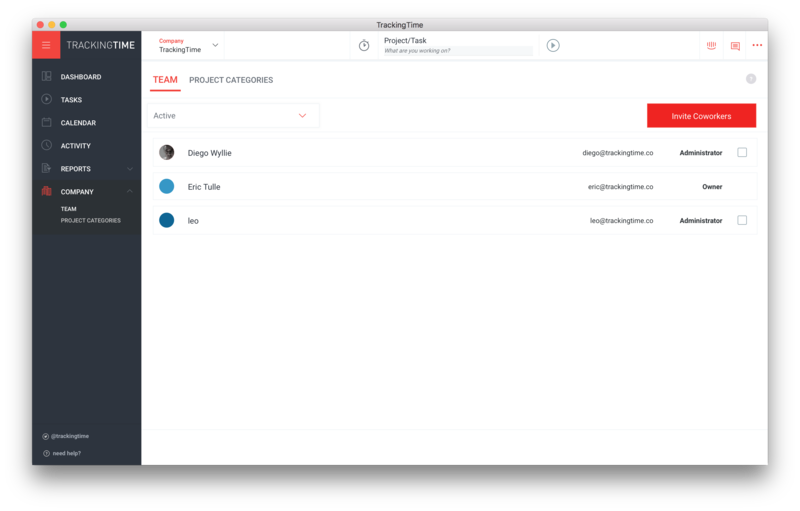 Projects Reports: Stay on top of all your running projects with a live dashboard that helps you prioritize tasks, stay focused and allocate time efficiently. Thanks for giving TrackingTime a try! 🙌🏻 If you have any questions or feedback please get in touch with us. We're always happy to help.